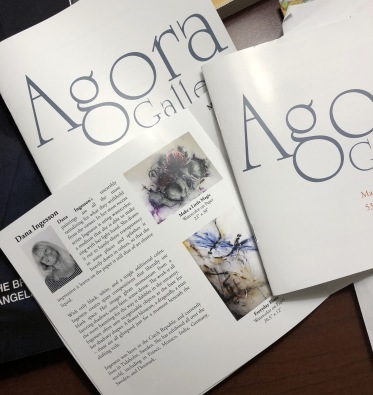 I am so proud to have an exhibition in Agora Gallery, New York, get all the support of these fantastic people who work there, thank you from all my heart, you make memory for me for rest of my life. "Dana Ingesson's unearthly paintings are all the more tantalizing for what they withhold from the viewer. In her most recent series Ingesson is using watercolor, a medium that she is able to make sing with her light hand. 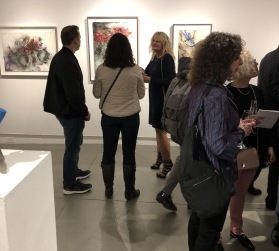 She draws it out to barely-there transparency in some places and splashes it heavily down in others, so that the impression it leaves on the paper is still that of an elusive liquid. With only black, white, and a single additional color, Ingesson creates spare compositions that liberally use blank space. Her images glean momentum from a layering shadows, some faint, some dense. The work is all the more haunting for the way it dabbles in the uncanny. Ingesson often uses recognizable objects as the base for her shadowy shapes. A flower blossom, a dragonfly, a man - these are all glimpsed just for a moment beneath the shifting veils. 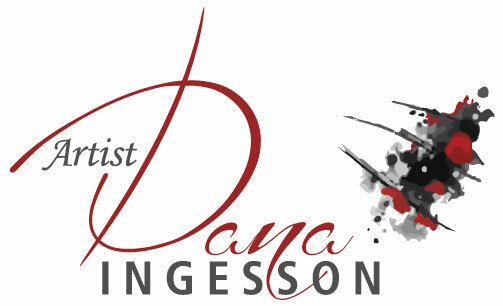 Ingesson was born in the Czech Republic and currently lives in Tidaholm, Sweden. 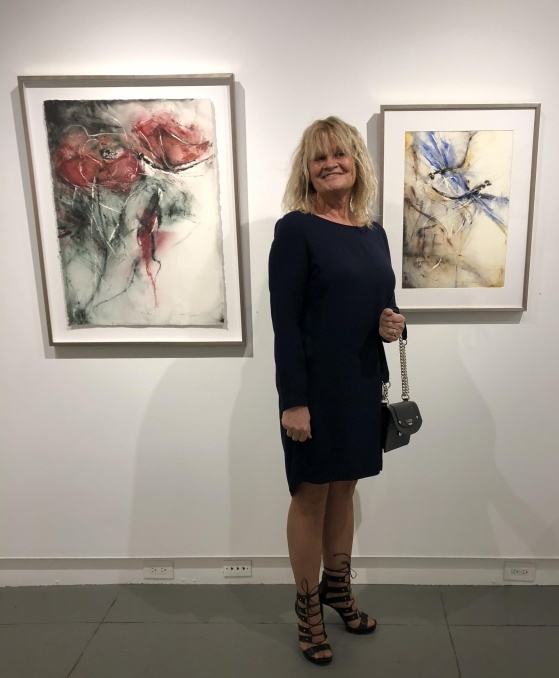 She has exhibited all over the world, including in France, Monaco, India, Germany, Sweden, Italy and Denmark."